Visa on mobile is a convenient and secure way to receive payments from your customers. 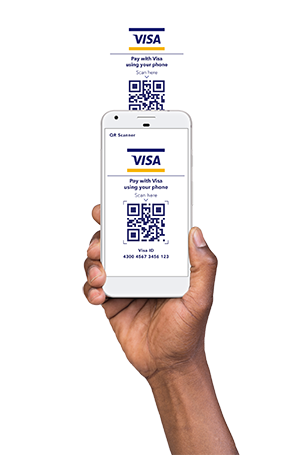 Visa on Mobile is now available on Pesapal as a payment option both online on the Sabi Point of Sale app. Customers can pay you directly via their mobile money bank app. It’s straightforward way to get paid directly into Pesapal account. For customers paying, Visa on Mobile is a simple way to pay directly from your bank account for goods and services. Visa on mobile employs bank level security features to secure your transactions. Additionally, Pesapal is PCI DSS and PCI PTS compliant meaning we have instituted international standards to ensure that when you can pay or get paid, you have peace of the mind that your money is safe. For merchants Visa on Mobile payments attracted the same transaction rates as other payment options. However, paying using Visa on mobile is free of charge, making it one the most affordable mobile payment options available in Kenya. Pay all your bills on time with mVisa at no extra cost and avoid disconnection! Get airtime using mVisa for any local network loaded on your phone instantly ! Get Event tickets to local events, and pay conveniently by mVisa! Book your next holiday and pay by mVisa to get discounts and special offers!